To register and create your “Member Profile” click here. To log in to your account, click on the “My account” icon, enter your e-mail and password. If you forgot your password, go to the “My Account” section and click on “Forgot Your Password?” Enter your e-mail address, and a new password will be sent directly to your email. If you wish to see a history of your past orders, go to the “My Account” section and click on the “My orders” icon. You will have access to a complete history of your orders. What kind of information is in the newsletters? The newsletters contain general information on new Lise Watier product launches or promotions. It allows you to stay informed on the brand. To subscribe, click here and fill in the questionnaire. At any point in time you can unsubscribe by clicking on the unsubscribe link found at the footer of the emails that have been sent to you or in your account, in the subscription to newsletter section. After having placed your order, you will receive an email confirming that your order has been registered by Lise Watier Cosmétics. In your account, the status of your order is “pending”. 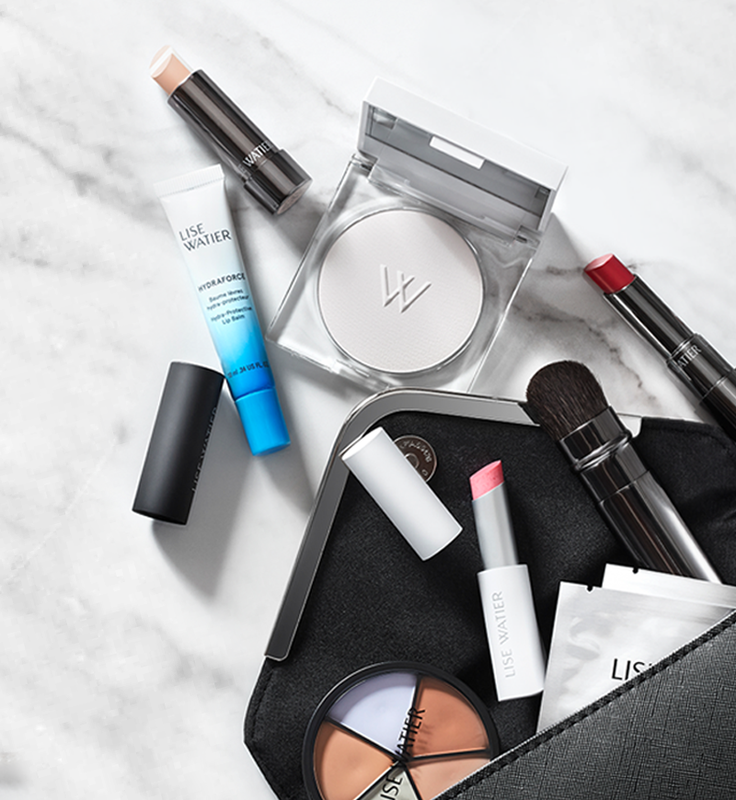 Once your order has been prepared and shipped, you will receive a second email from Lise Watier Cosmétics including the shipping number and a summary of the products shipped. At the same time, you will receive an email from Canada Post with your tracking number which will allow you to track your package. In your account, the status of your order is now complete. - Pending: Your order has not yet been shipped yet. Your order is being prepared by the logistics center, up to 4 business dates following your order date. - Complete: Your order has been shipped. Canada Post has sent you a tracking number including the exact date of delivery. - Closed: You have canceled your order. How to cancel or modify my order? Canceling your order right after it has been confirmed: If you realised that you have made an error when entering the order you just confirmed on the website, call, as soon as possible, Lise Watier Cosmétiques customer service. Cancelling an order after the package has been shipped: Refer to the returns and exchanges policies. Can I return the products that I ordered? Refer to the returns and exchanges policies. What are the methods of payments offered? Payment by online bank card (Visa, Mastercard): Your bank information is encrypted (SSL mode) and will never be known or saved at Lise Watier Cosmétiques. Please note that we do not take any payments by telephone. What are the shipping rates and delays? Lisewatier.com ships via Canada Post to Canadian addresses only. No deliveries are made on Saturdays and Sundays and any major holidays. We do not accept orders being shipped to Army Post Office, Fleet Post Office and Post Office boxes. There is a delivery fee of $6.50 CA for all standard deliveries. However, this delivery fee can be offered. For more information, please refer to the ongoing promotions on the website. Your order will be processed by Lise Watier Cosmétiques within a delay of 4 business days. It will then be shipped by Canada Post. Depending on your geographic location, the delivery time can reach up to a maximum of 7 business days. How to use a promotional coupon? If you would like to use a promotional code, you can use it during the checkout process under the section with the summary of your order. Simply enter your promotional code and click on “Apply Coupon” to validate your code and benefit from the offer. You will see the discount amount of the coupon be subtracted in the summary of your order. Please note that the promotional codes are case sensitive and must respect the upper and lower cases. Promotional coupons can only be used exclusively on lisewatier.com. Promotional coupons are not available in store and cannot be combined with any other offer. Coupons can only be used once, per client. It is applied to the total amount of an order before taxes and shipping. If a coupon code has been used multiple times, Lise Watier reserves the right to cancel or refund the order. Coupons cannot be used for future purchases even if the initial order has been canceled or returned. Lise Watier Cosmétiques offers the best in makeup, skincare and fragrance products. In order to do so, our Research & Development team works hard to continually improve our products. We must, therefore, sometimes need to make renovations to our products. If you wish to purchase that product, please contact Lise Watier Cosmétiques’ customer service and we will be happy to suggest you substitute products. How can I obtain tips on Lise Watier products? You can head to the product description on the website or ask Lise Watier Cosmétiques’ customer service by email at [email protected] or by telephone at 1-800-592-8437 or 514-735-4959. Our customer service is accessible from 7:30 am EST to 4 pm EST from Monday to Thursday and 7:30 am EST to 12:00 pm EST on Fridays. In stores, our cosmeticians are also available to answer your questions. It is very important to follow instructions and read the ingredients label before using any product on your skin. If you have experienced allergic reactions in the past, we suggest that you interrupt usage of the product, take note of the ingredients and consult a dermatologist should the symptoms persist. It is also important not to use products that have an expired date. Lise Watier products are NOT tested on animals, nor do we have animal testing conducted on our behalf. We are committed to selling only safe products, using only safe ingredients in our cosmetic products and complying with applicable regulations in every country in which Lise Watier products are sold. Lise Watier ensures product safety through testing using “in vitro” or “self-testing” methods on human volunteers. The development of all Lise Watier products is carried out with the goal of offering innovative, high-quality products to our clientele, while insuring the security of their use.